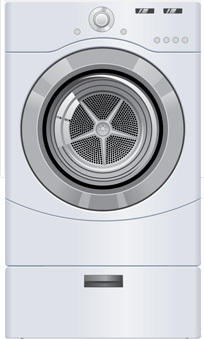 Our technicians are factory trained to service and repair most makes and models of dryers. Please call (888) 697-4918 if you require assistance or would like to schedule an appointment. Solution: Clean the lint filter. A clogged lint filter prevents your dryer from funneling air into the main drum. Check for lint between the drum and dryer and use a long brush to clean out any debris. Check your dryer hose for clogs, kinks, or damage. The vent outside your home can get clogged as well and should be checked regularly. If cleaning vents/hoses/traps or replacing parts doesn't solve this problem, you may need to call a professional for dryer repair service. Solution: Check the load and drum for loose parts. Buttons, zippers, and objects left in pockets often beat against the drum and create noise. If no objects are found, a belt or motor may need to be replaced. Consult your user's manual to identify parts and repair procedures. If you are unable to do this yourself or feel uncomfortable, a professional can easily repair these common issues. Solution: Start with the obvious- is it plugged in? Is the power cord damaged? If there is no damage and electricity is flowing from the outlet appropriately, check fuses. 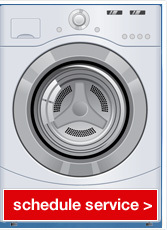 Additionally, your dryer won't run if the door isn't properly closed. Examine the door and door switch for damage to determine if this is the cause. Your user's manual likely contains useful diagrams that can help you identify these components and how to replace them. Solution: This is often a bothersome problem because a hot dryer can leave scorch marks on clothing and is very dangerous. Clean lint traps, the drum, and vents to help air flow and keep your dryer at the appropriate temperatures. If this doesn't help, ensure the drum is spinning properly, as clothes can get stuck in one place if not and occasionally burn a little. Vent hoses, heater coils, the thermostat, or another part may need replaced if the issue can't be resolved through cleaning. Consult the manual or a professional for repair options.